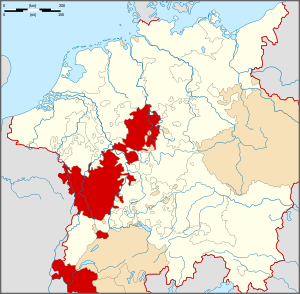 On July 17, 1806, on the dissolution of the Holy Roman Empire, the counties of Nassau-Usingen and Nassau-Weilburg both joined the Confederation of the Rhine. 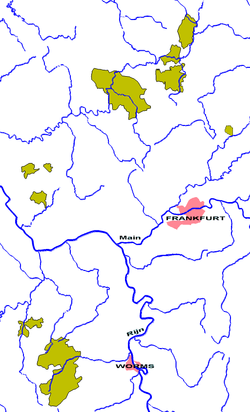 Under pressure from Napoleon both counties merged to become the Duchy of Nassau on August 30, 1806, under joint rule of Prince Frederick August of Nassau-Usingen and his younger cousin Prince Frederick William of Nassau-Weilburg. As Frederick August had no heirs he agreed that Frederick William should become sole ruler after his death. However Frederick William died from a fall on the stairs at Weilburg Castle on 9 January 1816 and it was his son William who later became duke of a unified Nassau. The sovereigns of this house afterwards governed the Duchy of Nassau until 1866, and since 1890 they have governed the nation of Luxembourg. 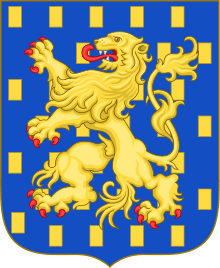 The House of Nassau-Weilburg became extinct in the male line with the death of Grand Duchess Charlotte of Luxembourg in 1985. The reigning house of Luxembourg retained Nassau-Weilburg as its official name. 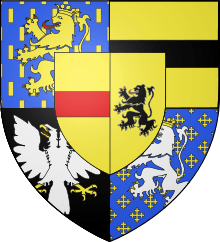 Since the death of the Grand Duchess, the House of Nassau-Weilburg is a cadet branch (male-line descendants) of the House of Bourbon-Parma. 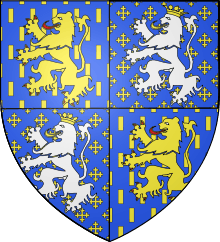 Grand Dukes of Luxembourg, Guillaume IV and Adolphe, were Protestants; the religion of the House of Nassau, changed after Guillaume's marriage to Marie Anne of Portugal, who was Roman Catholic.